The Fire Smoke Coalition has been a leader in the fire se rvice industry about the dangers of fire smoke. Firefighters and departments throughout the US have embraced the Coalition’s educational mission that smoke, whether through an acute or chronic exposures, will kill you. 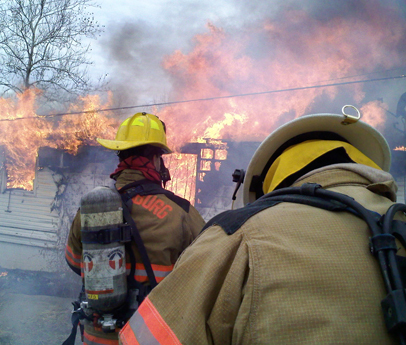 In 2013, the Coalition educated nearly 1,200 firefighters encompassing more than 500 departments throughout the US and Australia through its Know Your Smoke: The Dangers of Fire Smoke Exposure on-site training program. While the statistics offer some level of success, the reality is that less than 50% of the departments have made absolute, life-protecting changes for their firefighters. In contrast, nearly 95 percent of the firefighters who have attended the class have made personal behavioral changes in their tactical approaches to fireground operations. While it’s a great feat to see individual firefighters taking note of the education, it’s disappointing that the majority of departments are not immediately taking action to protect the lives of their firefighters. 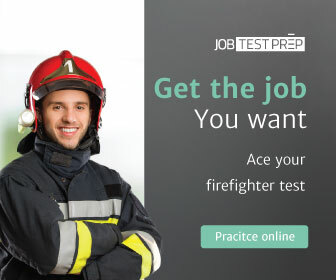 Why is this firefighter breathing smoke? It’s phenomenal that there hasn’t been a major shift in tactical operations in the majority of US fire departments given all of the information, education, research and suggested protocols by leading authorities in the nation’s fire service. For those looking for resources to provide the foundation for change in your department, here is the absolute latest broad-based research and preview of a new study, the results of which will be released this year. In each of two rounds, evaluated three controlled structure burns (one per day). Five firefighters participated in each burn. Sampled PAHs, volatile organic compounds (VOCs), and particulate in air. Collected breath and urine samples before and after each burn. They analyzed breath samples for aromatic hydrocarbons and the urine samples for PAH breakdown products. Took wipe samples on firefighters’ skin to measure PAH contamination before and right after each burn. Measured VOCs released from turnout gear before and after each burn. Tested the SCBA equipment to make sure it worked properly. The monitoring detected possible cancer-causing PAHs and VOCs in air. Some PAH air levels were above occupational exposure limits during overhaul. All VOC air levels were below occupational exposure limits during overhaul. Some VOCs were released from fire fighters’ gear after the fire exposure. The air levels of these compounds were well below occupational exposure limits. The PAH levels on firefighters’ necks were highest right after the burns than before; PAHs were not found on other areas of fire fighters’ skin. Levels of benzene, an aromatic hydrocarbon, in fire fighters’ breath were higher right after burns than before. However, fire fighters did not have elevated levels of benzene breakdown products in their urine. In the first round of study, levels of PAH breakdown products were higher in urine samples collected three hours after the burn than in samples collected before the burns. The levels of PAHs and benzene in fire fighters’ bodies were similar to levels in occupational groups with low exposures to these compounds. Most fire fighters wore properly working SCBA. It is assumed that the PAHs and benzene likely entered their bodies through their skin. Require firefighters to wear full protective ensembles, including SCBA, during knockdown and overhaul for all fire responses. Provide firefighters with long hoods that are unlikely to come untucked. Provide as much natural ventilation as possible to burned structures before starting investigations. Remove SCBA and hood last when removing gear and take off gear before entering a rehab area. Store gear on the outside of the apparatus when riding back to the station. Wash hands immediately and shower as soon as possible after a fire response. As for what’s to come in 2014, a study focused on the tertiary hazards from fire smoke and debris exposure to firefighters related to their PPE. The lead research project manager, Dave Matthew, is a current instructor and developer for the Incident Management and HazMat/WMD curriculum nationwide and serves as a Subject Matter Expert (SME) for the Department of Homeland Security (DHS) conducting exercises and course reviews. What is known today is that firefighter cancer, cardiac related illnesses and deaths, neurological problems and other chronic health problems are increasing, not decreasing. While many departments have initiated strict Standard Operating Guidelines (SOGs) that keep firefighters on air through the overhaul phase of the fire, it’s not decreasing the statistical data related to firefighter illness and death. With only three routes of exposure, i.e., inhalation, ingestion and absorption, if firefighters are on air that leaves only absorption as a means of exposure, which points directly to their PPE. As a side note to the research, during live burn practical sessions in Fort Collins, Colorado, Fire Smoke Coalition instructors had the opportunity to utilize GC/MS during the practical. The results were startling to the participating firefighters. In the end, firefighters contract disease, illness and death through inhalation, ingestion or absorption. To prevent exposure means wearing air and USING it, clean bodies and clean PPE. While the prescription for prevention is simple, the process is complex. There will never be an absolute method for preventing exposure, but there are tactical measures that can lessen the exposure. With presumptive legislation available in many states to care for firefighters stricken by illness and disease, there will most likely come a day when that legislation WILL NOT be available if departments are not employing prevention standards. Just something to think about. Coalition instructors are hitting the road again in 2014 with the Know Your Smoke training program. Visit http://www.firesmoke.org for dates and locations. In addition, the Coalition launched a program in 2011 entitled, “Wear Your Air, Take a Shower & Wash Your Gear!”, that is free training to all. It you have not participated in a Coalition training program, this one is a good start. Shawn Longerich is the Executive Director of the Fire Smoke Coalition, Inc. In the last four years the Coalition has developed numerous, nationally recognized training programs and publications focused on the deadly consequences of fire smoke – for firefighters and civilians. Next: Role Models: Who are yours?